· The twin hull configuration contributes two major benefits; tremendous stability and no wash. The latter reduces salt marsh and estuary bank erosion. The launch of the solar powered catamaran, Solar Heritage, was celebrated in May 2004 by Chichester Harbour Conservancy as one of their flagship projects for ‘Rhythms of the Tide’, a series of more than 40 projects financed by the Heritage Lottery Fund. Solar Heritage is used for running public and school trips for environmentally aware tours of Chichester Harbour, a designated Area of Outstanding Natural Beauty. Solar Heritage is the first of its kind on the south coast of England, and one of very few commercially operated solar powered tour vessels in the UK. She began life as a Solar powered ferry operating out of Neuchatel in Switzerland's Three Lakes Region (Les Trois Lacs), as part of the Swiss 2002 National Exposition devoted to Nature and Technology. 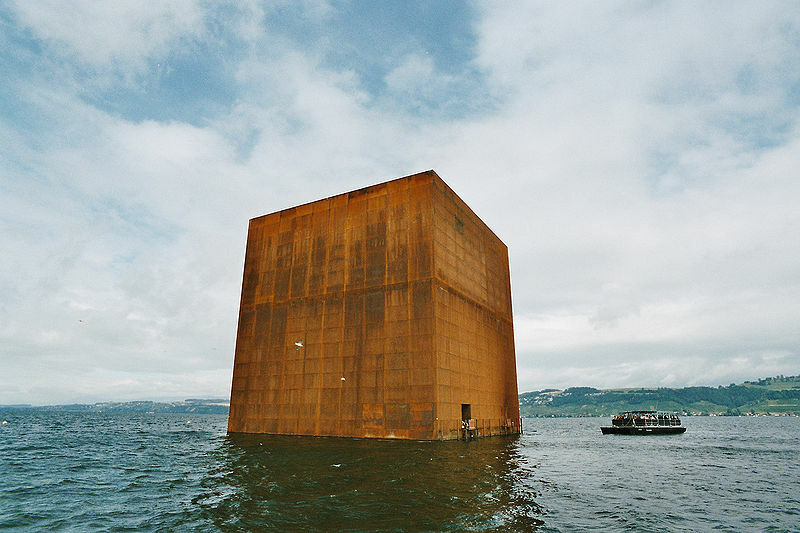 An environmental exhibition was housed on the lake in a specially constructed cube of rusting metal called the Monolith, built by Frenchman Jean Nouvel. There were no bridges between the land and the exhibition so ferries were needed to help visitors across the lake. To show further commitment to the ideas of sustainability and environmental awareness, three solar powered ferries were specially commissioned as transport. These carried passengers between the Monolith, and the lake side, on a continuous basis for six months between May and October 2002. The exhibition housed in the Monolith was devoted to Alternative Energy, and part of the reason Chichester Harbour Conservancy wanted to obtain a solar powered boat was to heighten local awareness of and stimulate interest in these matters. In the photograph at the top of the page, Solar Heritage is moving forward, though this is not hugely apparent due to the lack of either bow wave or wake. This is a notable feature of the vessel due to the twin hull configuration, hence her suitability for an estuarine environment where the damaging effects of wave induced erosion can be considerable. The vessel creates little noise, reducing noise pollution for people and making the vessel less intrusive towards wildlife. Other positive factors include complete lack of CO2 emissions resulting from use of electrical power and increased stability resulting from the use of twin hulls. Questions are often asked regarding operation in cloudy conditions. MW Lines, the manufacturer, have tested their vessel at night and claim it will even pick up an electric charge from moonlight! To experience the Solar Boat first hand contact Chichester Harbour Conservancy, or find out more about how the Solar Boat works by clicking on Here Comes The Sun.